​close encounters with unique wildlife, the Indian Pacific rail journey and the country’s finest accommodation. Stylish Sydney…a cosmopolitan international city filled with vibrant life, character and a sense of daring. The multiculturalism means a wealth of amazing dining experiences. Welcome to Sydney! Make the most of your time in Sydney with the helicopter ride that has the lot! You’ll be picked up from your hotel for the transfer to Sydney Airport. Your flight takes you over historic Botany Bay, the famous South coastline seeing all the sights including Coogee and the world famous Bondi Beach, Sydney Harbour heads, the north coast and of course all the wonders of Sydney Harbour including icons such as the Sydney Opera House, The Sydney Harbour Bridge and more. Today, come aboard and experience what it is like to "cruise like a local" on one of the most spectacular harbors in the world, with your local, friendly Australian hosts. Your personalized, tailor-made, 4-hour Sydney Harbour cruising experience will give you the opportunity to swim, fish, kayak, relax or sunbathe, with fabulous sight-seeing opportunities. Emirate's Wolgan Valley Resort & Spa is a luxury conservation-based resort located in Australia'' Greater Blue Mountains World Heritage area. Modeled on the acclaimed Al Maha Desert Resort & Spa in Dubai, the resort is set within its own private conservation and wildlife reserve where guests can enjoy absolute luxury, tranquility and connection with nature. Nestled between two National Parks and spread out at the foot of towering sandstone cliffs, the homestead-style resort occupies just two percent of the total land area of 4,000 acres. Guests are able to appreciate the very special natural, cultural and scenic values of the Wolgan Valley through a diverse range of nature based activities. Traveling between the Indian and Pacific oceans for over 40 years, this truly is one of the world's great train journeys. 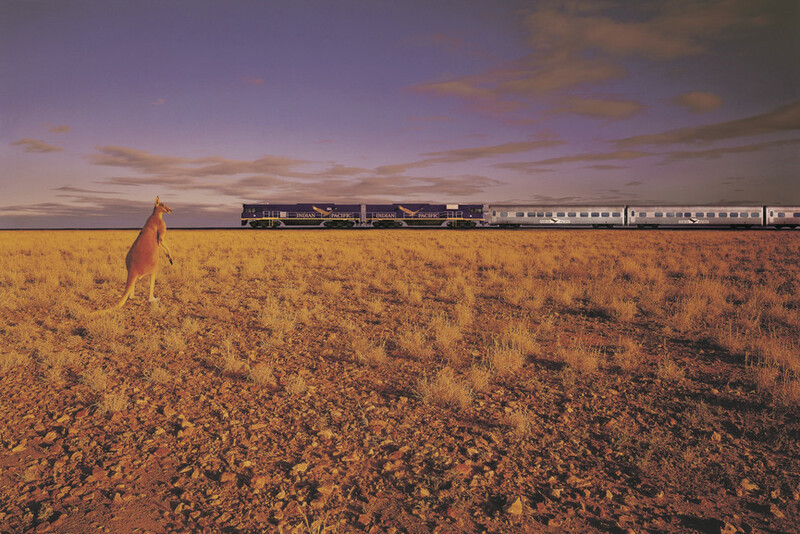 Named after the two great oceans it joins, the mighty Indian Pacific traverses 2,698 miles between Perth and Sydney. 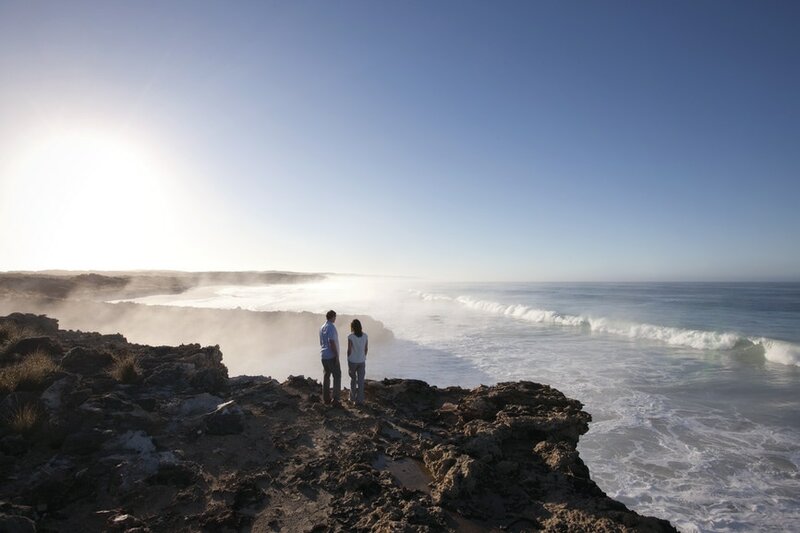 Arrive Adelaide and take a private transfer from the train station to Adelaide Airport for your flight to Kangaroo Island. Upon arrival, you will be transferred to your accommodation. You can spend the day exploring this beautiful island. Today you will take a private transfer from the Southern Ocean Lodge to Kingscote Airport to catch your flight back to Adelaide. Then it’s on to Tasmania where you will pick up a rental car and drive to Saffire Freycinet. Drive back to Launceston for your flight home.